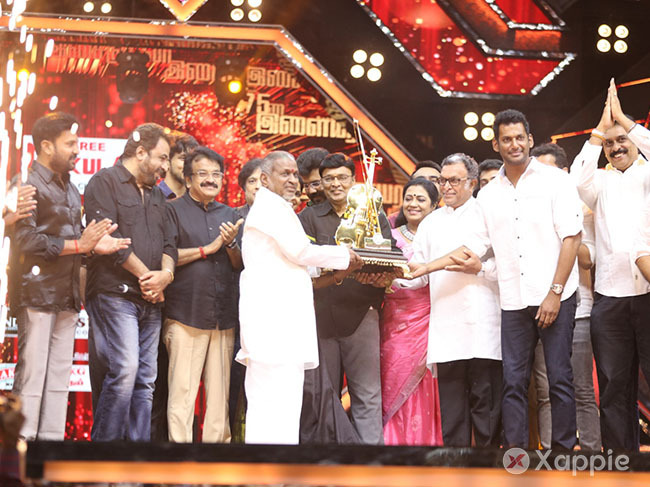 The most expected and ever grandest musical event of ‘Ilaiyaraaja 75’ hosted by Tamil Film Producers Council took place last evening at YMCA Stadium. The occasion had lots of eminent personalities from the Tamil film and music industry gracing with their presence. The event commenced with Honourable Governor of Tamil Nadu, Shri. Banwarilal Purohit lighting the Traditional lamp in the presence of filmmaker SP Muthuraman, TFPC President Vishal, General Secretaries Kathiresan and SS Durairaj, Treasurer SR Prabhu and many others. Later Isaignani Ilayaraja sir told pointing AR Rahman, “Do you know when you (AR Rahman) come to join me?” and AR Rahman replied, “Moondram Pirai”. After that he was asked if he remembers the first tune that he programmed for Ilayaraja and he instantly played it on his mobile keyboard instrumental app of ‘Punnagai Mannan’ Theme Music. Immediately, the keyboard was brought there and the entire crowd went gaga over the Academy Award winner playing it completely. Actress Kasthuri excitedly asked both of them, if Ilayaraja sir could sing and AR Rahman would play a bit for one minute. 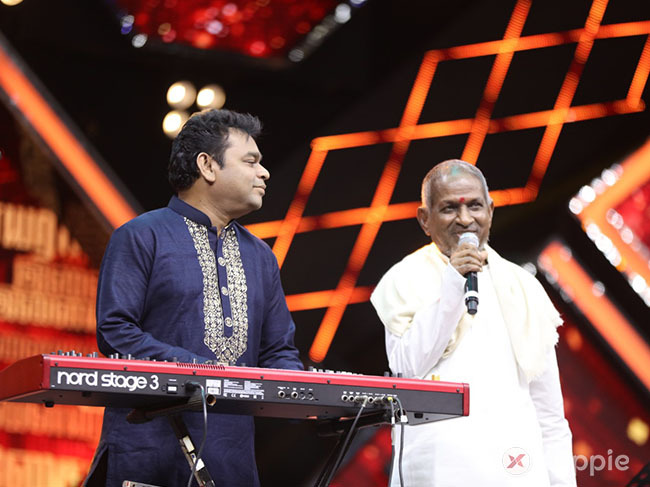 Isaignani Ilayaraja instantly sang, ‘Mandram Vandha Thendralukku’ from Mouna Raagam and in a while, he was fascinated by the way how AR Rahman played the piano. He funnily pointed out that AR Rahman played an unwanted note and Isaipuyal just gave a childish laughter as the crowds cheered. 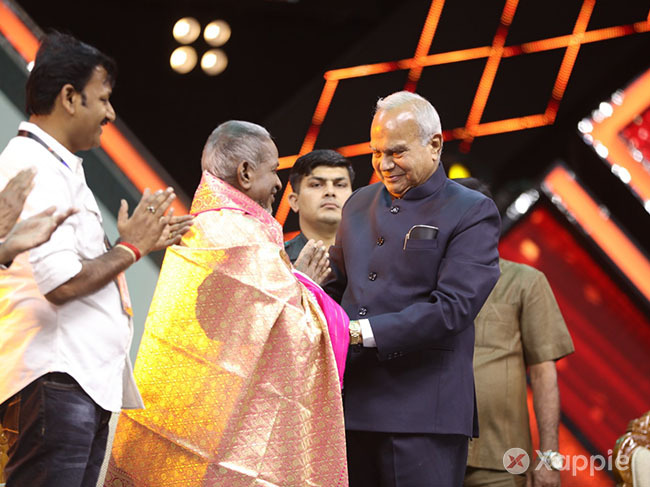 Isaignani Ilayaraja got emotional and joyful tears during this moment, which will be definitely an unforgettable moment to the entire Indian music industry for ages to come. Vishnu Vishal to join Sanjeev - Vikranth Combo Movie. Vishal talks about his flashback love story!